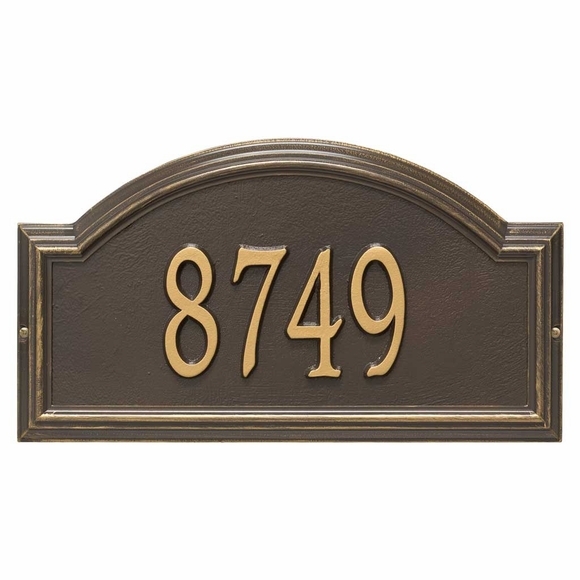 Providence Arch Address Plaque Bronze with Gold Numbers - - personalized address sign includes your address number. Free personalization. Made in USA. Wall mount house sign. Bronze finish with gold characters. Color: bronze with gold characters. Providence Arch Address Plaque bronze with gold characters -- add this traditional home address plaque to your list of gift ideas for any occasion.